We all get a default drivers cd or dvd when we buy a new PC. but later on as the time passes our drivers will be older and the performance of the PC ultimately reduces. So we need to upgrade our PC drivers at regular intervals to maintain stability in the system.So where we have too upgrade our system is a million dollar question. we search for drivers all the internet and finally after a long hunt for drivers we get some sites which provide latest drivers for our system and we there is no guarantee that they are suitable for our hardware or not. 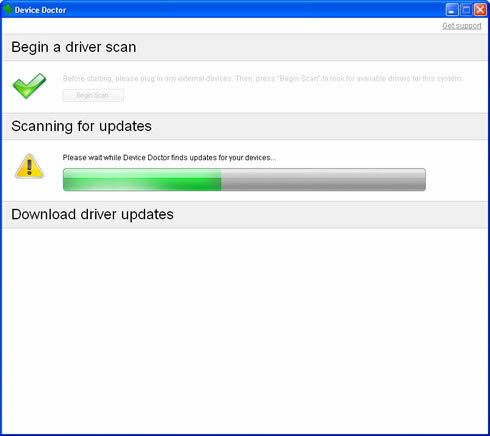 So it would be a nice option where our system itself detects the required drivers necessary for the upgrade. 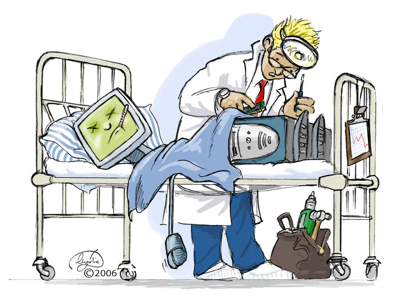 This can be done with the help of a small windows application called as Device Doctor. 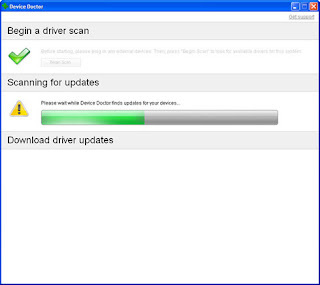 Device manager is a freeware windows application. 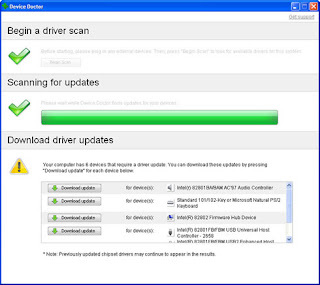 Its scans the computer hardware for and see whether new updates are available for your devices or not and it also locates drivers for unidentified devices in the Windows Device Manager. All we have to do is to download the application and install it and after opening the application just click on Begin scan. The hardware scans quickly and shows the result in few seconds. 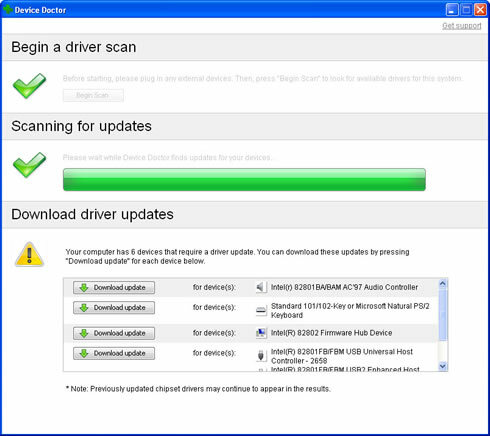 After finishing the scan the it shows the list of outdated and missing drivers. All you have to do is to click on Download Update button which is next to device which requires a update. Take a look at the screenshot. Thats it now the drivers which are required for your system will be updated with out any risk and without wasting any time. The process is very safe and it has around 1300000 drives in its database. They update the database regularly with new versions so this is the best available software in the freeware applications. 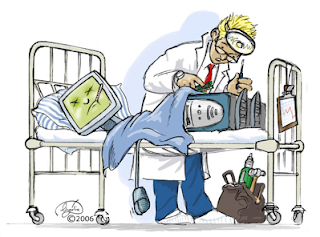 They also included the portable device doctor which is really awesome take a look at that also.Try this and you will real feel them donating 🙂 you can also visit there official website. well only the software but time passes you need the hardware too if you buy those they will get you the latest software versions, and most of the software's have an inbuilt up-dater's so that you can update those don't you think? yes exactly 🙂 we have to upgrade our hardware too 🙂 I Think u will change your hardware regularly rajeeva 😛 hehehe. But i change once in 3 years and update my drivers once in 2 months 🙂 so which is better ??? 😐 the devil doesnt know his true face :p the lames joke eva! visiting you what does it mean? :p so you dont invite friends to your home? So who are these "strangers?" The content on this publish is really one particular of the most beneficial material that I’ve ever occur across. I love your article, I’ll appear back to examine for new posts. why so ? u don't wanna be my friend???? They call you guys COPY CATS! !